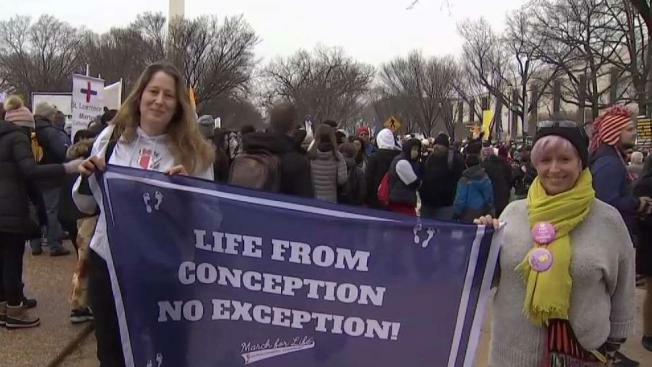 The annual March for Life drew scores of people to downtown D.C. on Friday. News4's Derrick Ward heard some women's personal stories about abortion. President Donald Trump sought to assure opponents of abortion rights on Friday that he stands with them and would veto any legislation from a Democratic-controlled House that "weakens the protection of human life."